7 Asian Destinations Offering Same Experience As Europe For Way Cheaper Rates! For many travellers Europe is considered to be the most refined and sophisticated travel destination. The pristine beaches along the mediterranean, the quaint counties of England, the charming villages of the alps and a rich renaissance history to boast in Italy. However, similar or even better experiences can be found in our own backyard, Asia! Here are 7 Asian destinations offering the same experience as Europe for way cheaper rates! Alleppey is popularly known as the “Venice of the east” and rightly so. While Venice offers Gondolas to explore the city through its network of canals, Alleppey has “Kettu Vallams” converted to house boats to explore the scenic backwaters. 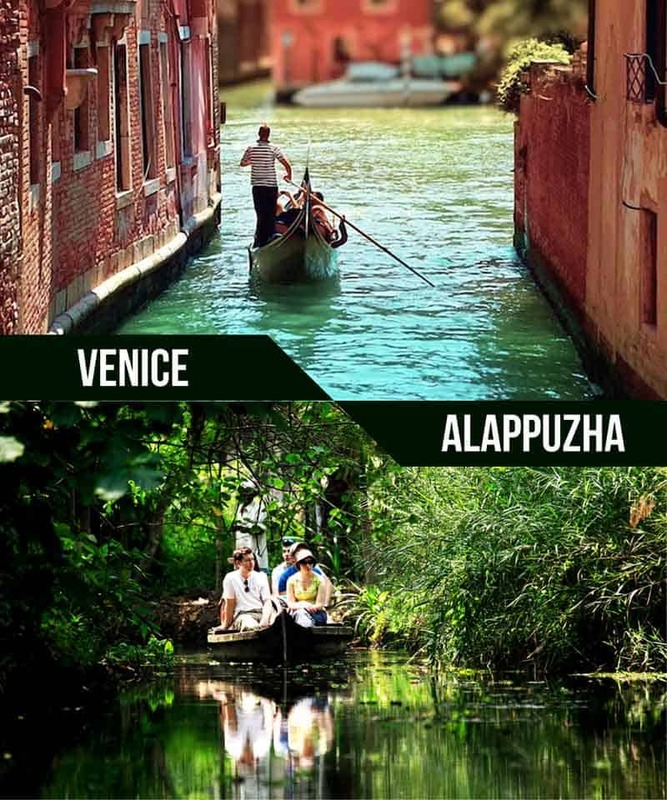 A stay on a houseboat will cost you only a fraction of the cost of travelling to and staying in Venice. 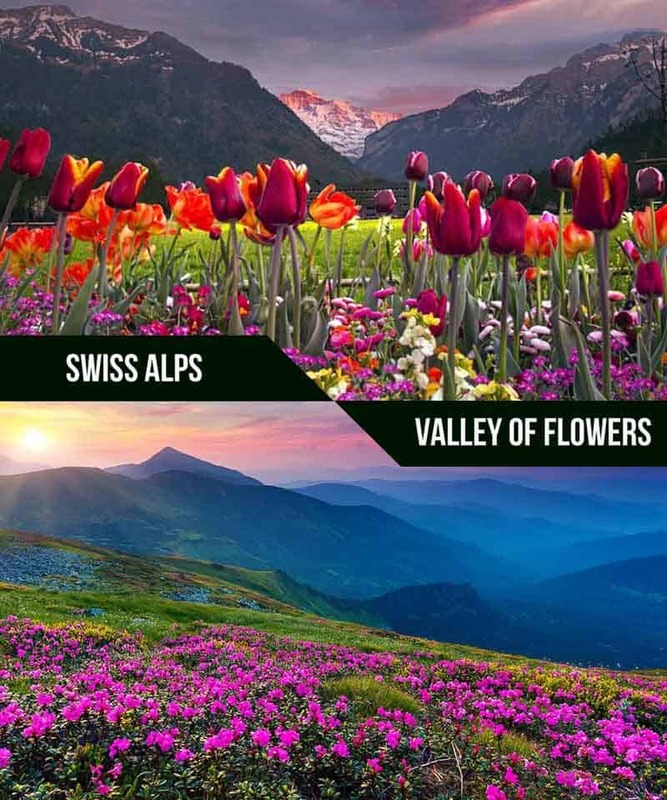 The alpine region of Switzerland referred to as the Swiss Alps is a major natural feature of the country. It’s a beautiful place in it’s own right with summers providing hillsides full of flowers. In fact, such a place exists in India too with a lush green valley! The valley of Flowers, Uttarakhand. During the summer when the flowers bloom, the whole valley becomes drenched in a myriad of vibrant colours and the cool climate simply invites travellers to take a trek through the national park. 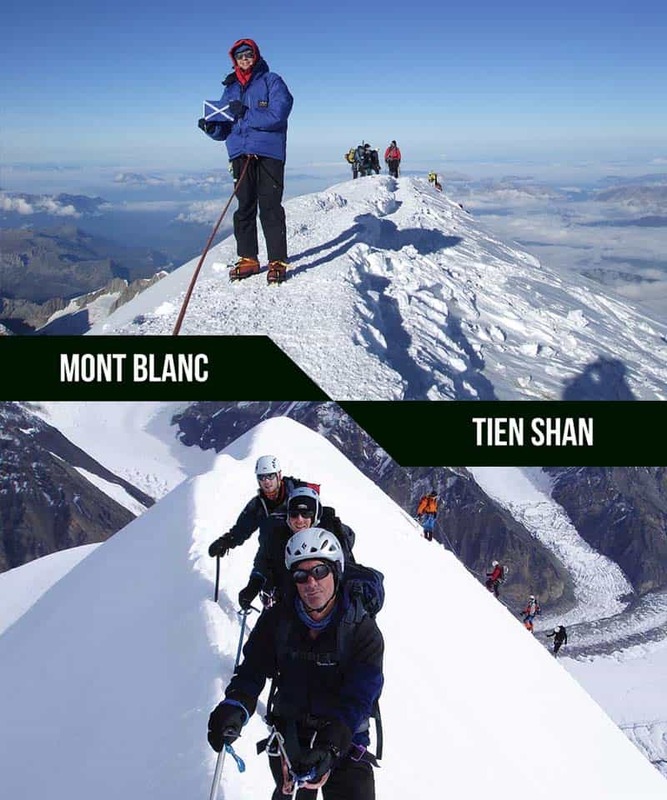 Mont Blanc meaning the white mountain lies on the border close to France and Italy and is one of the most popular Skiing spots in Europe but if you want exotic Skiing locations that don’t break your budget, head to the Tien Shan (heavenly mountains) in China-Kyrgyzstan border. Experience untouched powdery snow, picturesque mountain scenery and rejuvenating fresh air in one of the most pristine places on Earth. “Zindagi Na Milegi Dobara” made diving in Costa Brava, Spain, an exotic must have experience for many Indian travellers. 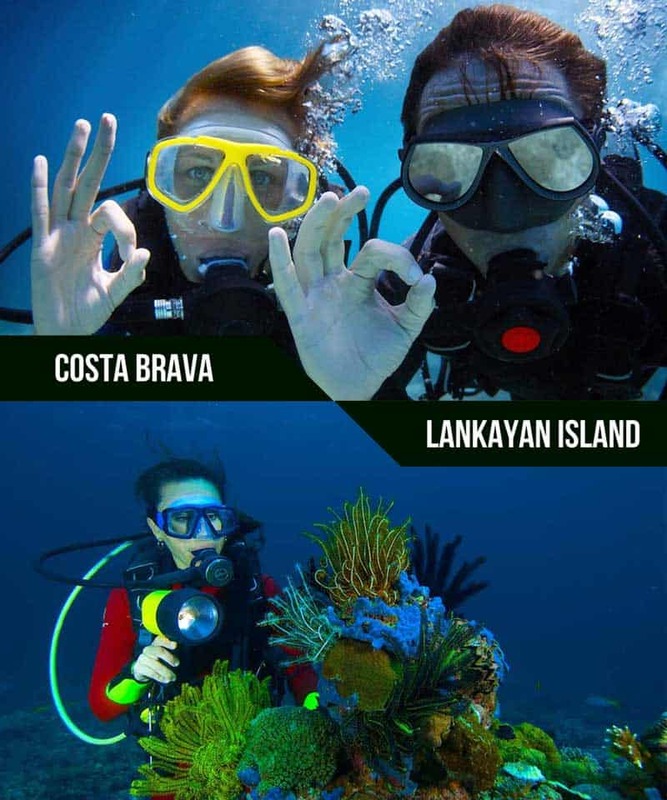 However, the best diving spots in the world can be found in the Coral Triangle in Asia and that’s where Lankayan Island is, off the coast of Malaysia. It’s a tropical coral island with many attractive species of flora and fauna. Flight tickets from India to Malaysia are very cheap ensuring a budget diving in one of the best diving spots in the world. Plus there are plenty of things to do for free in Malaysia. Virgin Island Creek in Brittany, France is a very popular destination in Europe for beach lovers. The blue mediterranean waters has its own unique charm that just invites you for a swim. Can such a place be bested? Yes! 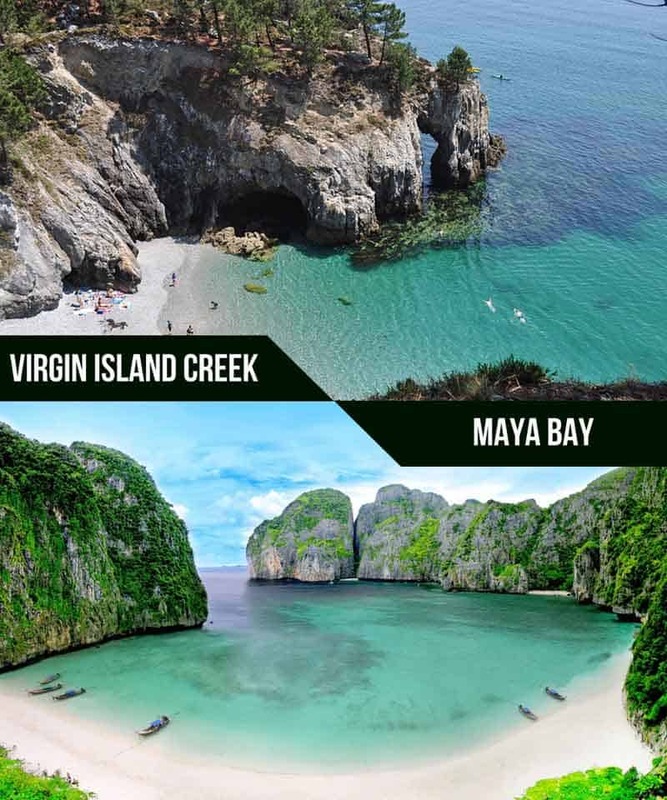 Visit Maya Bay in Thailand for a fraction of the cost of going to France. It’s the shooting spot for the movie “The Beach” featuring Leonardo Dicaprio and an island paradise that has one of the best beaches in the world. If you are staying overnight, you may even catch a rare glimpse of bioluminescent plankton making the waters shimmer! The city of Rome is literally a museum containing historic monuments right from 27 BC to the renaissance period. Scores of statues, frescoes and artwork made can be found littered throughout the city. Even so, Rome is a city that is bustling with modernity and one does not get the proper feel of the times gone by. 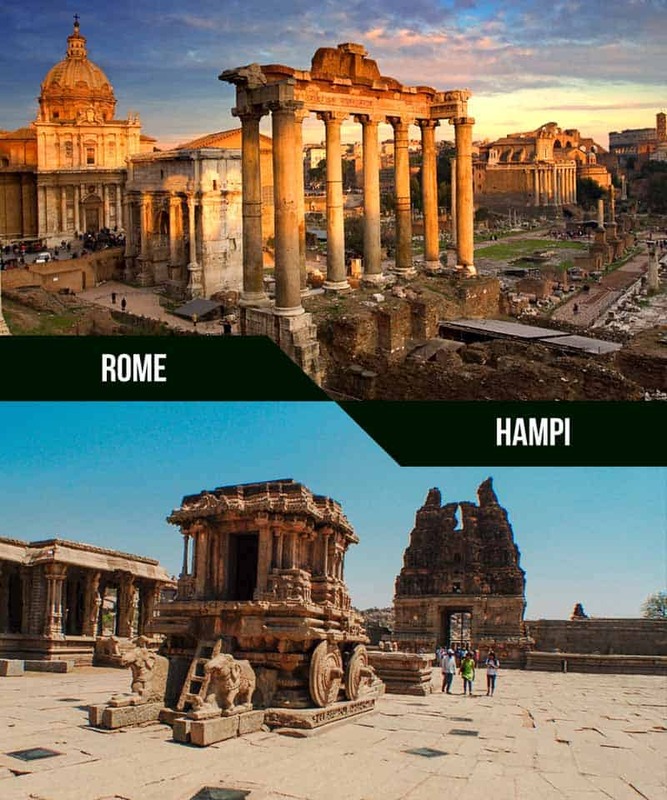 Instead visit Hampi in Karnataka, far removed from crowds and devoid of people. As one goes around the ruins of the former Vijayanagara Empire, time itself seems to stand still and in the evening the air is thick with an atmosphere of mysteries of a distant past. Scotland is well known for it’s lakes and green grassy hills interspersed with broad valleys making it a perfect magical destination for hiking. 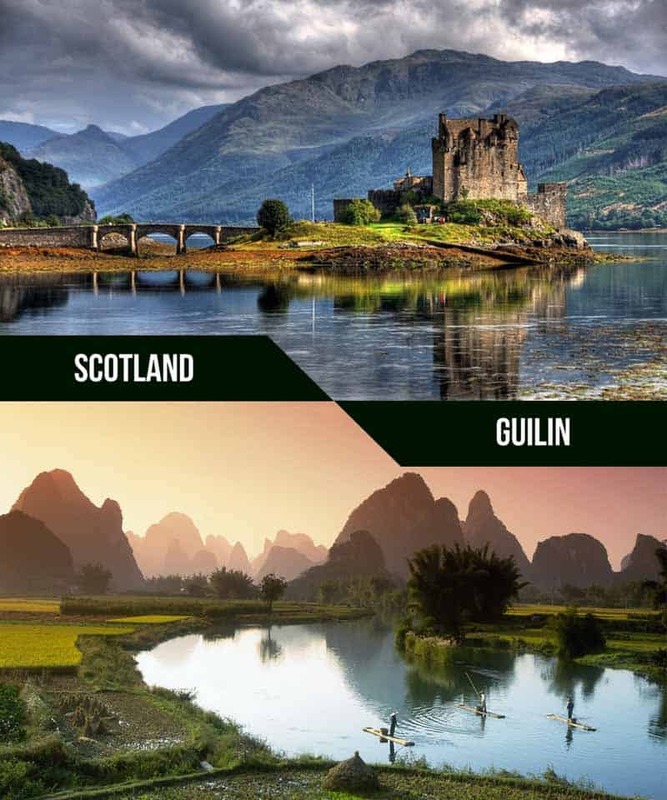 However, you can pay a visit to its cheaper and equally magical alternative in Guilin, China. Go on a walk along the karst mountains to see the beautiful landscape and appreciate the poetic countryside scenery. Get a surreal feel with a cruise around the mist laden winding Li river which feels straight out of a fairy tale!